The $19.9 million grant is the second-largest the school has ever received, after a $30 million federal grant the university received in 2014 to expand to the country of Georgia. NIH is expected to administer the grant over five years to fund construction of the HealthLINK Center, multiple research projects and annual seed funding for four researchers pursuing pilot projects. 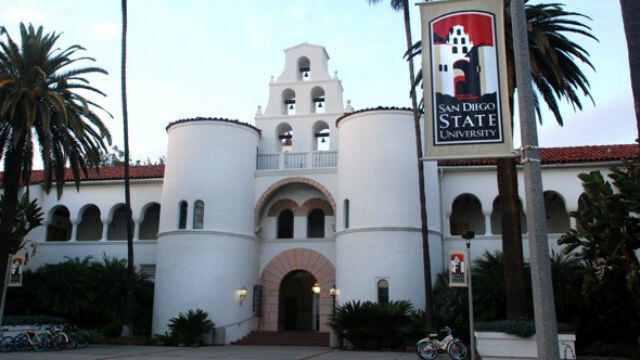 “This a wonderful recognition of the faculty’s excellence in health disparities research, and a significant opportunity to build on that excellence so that SDSU can remain a leader in this field for years to come,” said Stephen Welter, SDSU’s vice president for research. SDSU expects to work with local health care agencies and providers like the San Diego County Health and Human Services Agency, Family Health Centers of San Diego and Clinicas de Salud del Pueblo Inc. through the HealthLINK Center. Two professors, Guadalupe Ayala and Kristen Wells, are currently leading the project. Construction is already underway on the HealthLINK Center, which is slated for completion by the end of 2019.